Dmitry Ivankov was born 13.10.1976 in Krasnoyarsk-66, Russia. 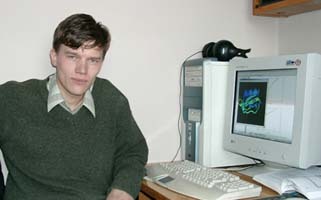 He graduated from the Moscow Institute of Physics and Technology (1999). Ph.D. in Biophysics (Moscow Phys.-Tech., 2006). protein folding, protein folding rates and nuclei, protein structure prediction.